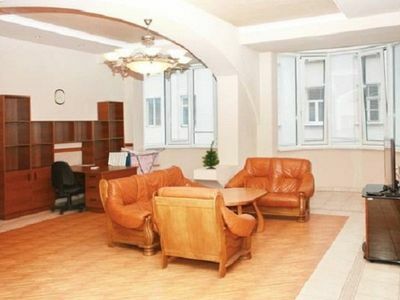 The apartment is located in the center of Kiev on 2 Esplanadna str, in front of a huge shopping center Gulliver. 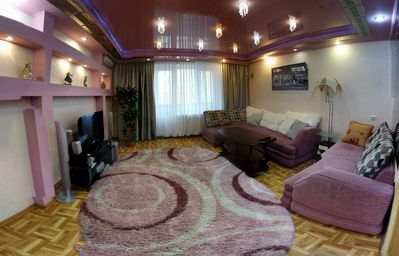 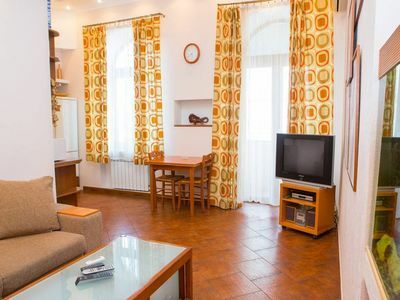 This is a very cozy studio apartment located on the 5th floor of a five-storey house with front entrance. 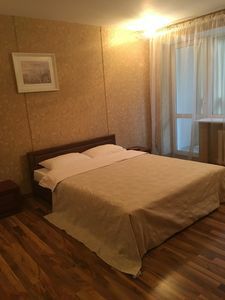 The apartment is suitable for both business trips and leisure. 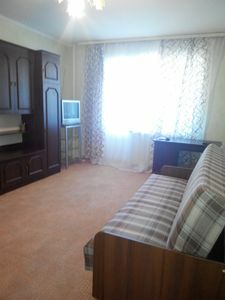 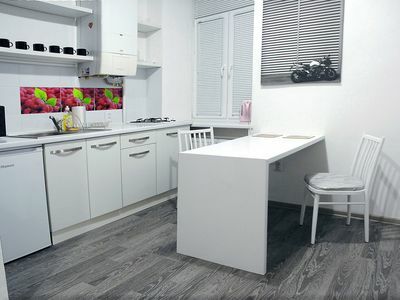 The apartment has a fully equipped kitchen and a combined living room (studio) with a sofa, which can be expanded in a double bed if necessary. 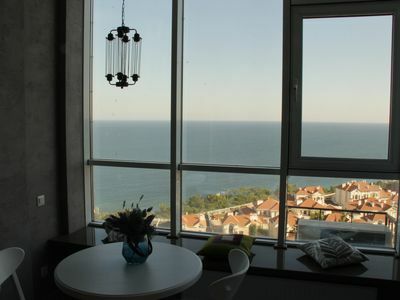 There is an aquarium, air conditioning, satellite TV and high-speed internet Wi-Fi. 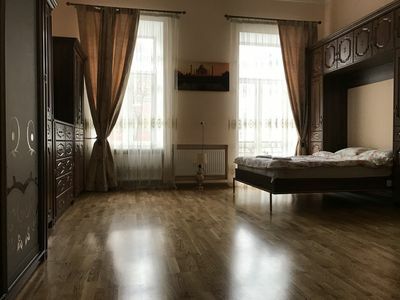 Bedroom with air conditioning and a spacious wardrobe. 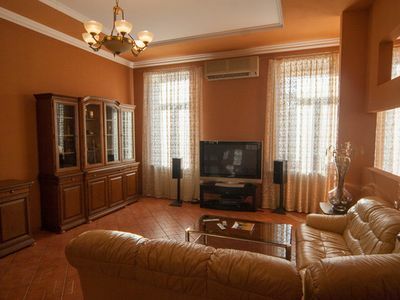 There is also a TV and a huge hall with a hallway, closet and the compartment. 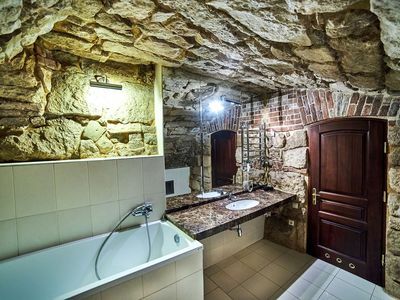 Bathroom Jacuzzi, sink and toilet. 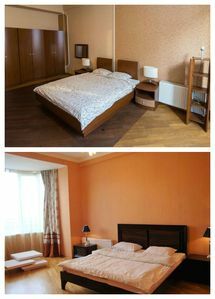 Luxurious apartment for precious guests.